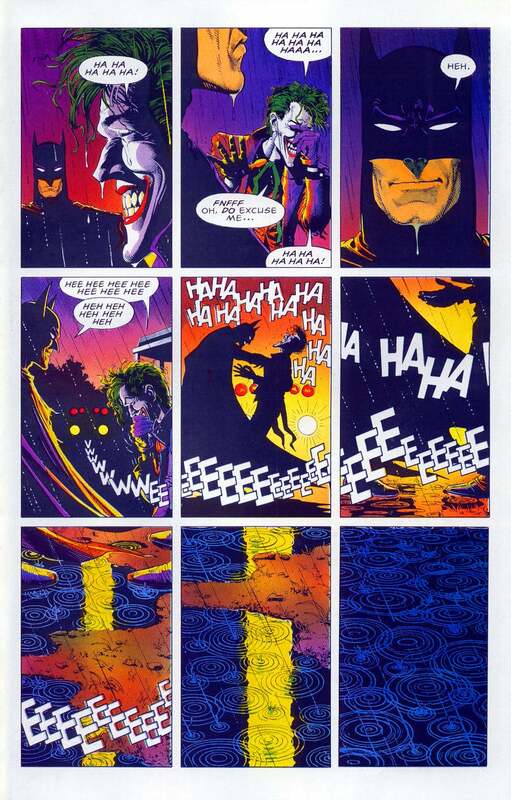 Did Batman Kill The Joker in Alan Moore's The Killing Joke? During his interview with Kevin Smith on the Fat Man on Batman podcast, longtime Batman writer Grant Morrison dropped a piece of trivia that blew Smith--and a number of comics bloggers already this morning--away, even while others thought it was pretty obvious. 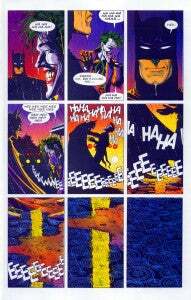 Batman, Morrison claims, clearly killed The Joker at the end of Alan Moore and Brian Bolland's classic Batman story The Killing Joke. "That's what I love about it, is that nobody's noticed--how many, thirty years ago it was? Batman kills the Joker. That's why it's called The Killing Joke. The Joker tells "the killing joke" at the end, Batman reaches out and breaks his neck and that's why the laughter stops and the light goes out at the end, is because that was their last chance at crossing that bridge. And Alan wrote the ultimate Batman/Joker story--he finished it!" Morrison said that the ambiguity in the ending, and the fact that it's not widely recognized this is what happened, is part of what makes the story great, in that Moore wrote the ending but then left it open enough that future writers could reinterpret it. Moore, in later years, has said that he regrets The Killing Joke since he feels responsible for having turned The Joker into a dangerous psychotic, as other writers ape the interpretation of the villain that he used in the one-shot. On Twitter, comics historian and author Alan Kistler said on Twitter that he believed Moore to have already revealed this years ago. Of course, the extent to which The Killing Joke even "happened" in-story is in dispute; while elements of the story, such as The Joker shooting Barbara Gordon and elements of his "Red Hood" backstory have since been repurposed in mainstream comics, it's widely known that the story started out as an out-of-continuity one-shot and only had the weight of "canon" imposed on it after it was already written. Kistler tweeted that Bolland had said as much.